No last name needed. And rather than attempt to compress such a perfect relationship between designer and actress into one or perhaps two blog entries, I'm going to recommend several books that will give so much more information than I ever could. First is "Dressing Marilyn - How William Travilla Styled a Hollywood Icon" by Andrew Hansford. Filled with beautiful detailed photos of some of Travilla's most famous creations for Monroe. 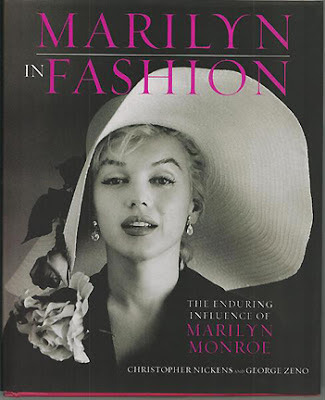 Second is "Marilyn in Fashion: The Enduring Influence of Marilyn Monroe" by Christopher Nickens and George Zeno. 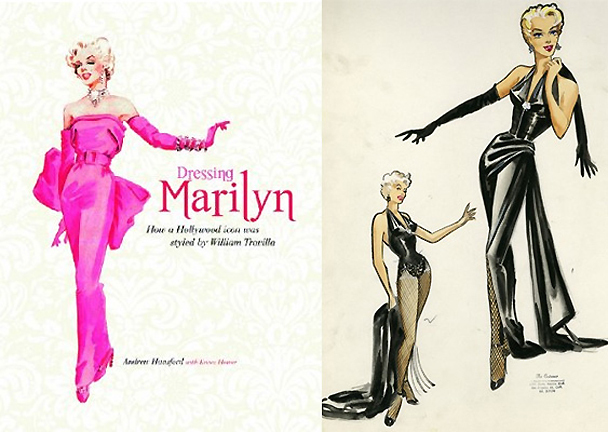 There's an amazing chapter on Travilla that compliments and expands on "Dressing Marilyn." 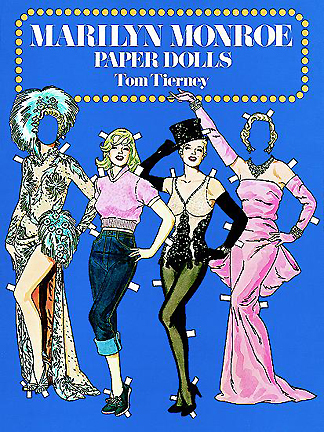 Third is "Marilyn Monroe Paper Dolls" by Tom Tierney. Eleven of the thirty costumes beautifully illustrated by Mr. Tierney are Travillas. And fourth. 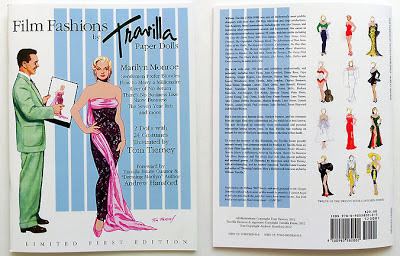 Last year I contacted and commissioned Mr. Tierney to create a limited edition "sequel" thirty-five years after his first book concentrating only on Travilla designed costumes. 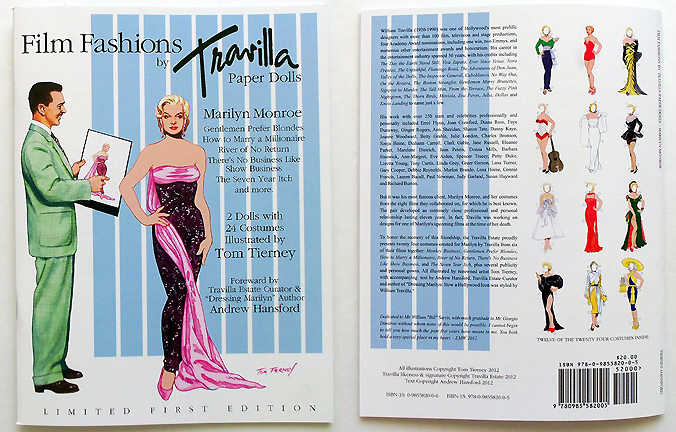 Which has resulted in "Film Fashions by Travilla Paper Dolls - Marilyn Monroe." Hopefully the first in a series. Contact me privately at monroesixtytwo@msn.com for ordering information.